Barbed fittings are great for changing one size of tubing to another. 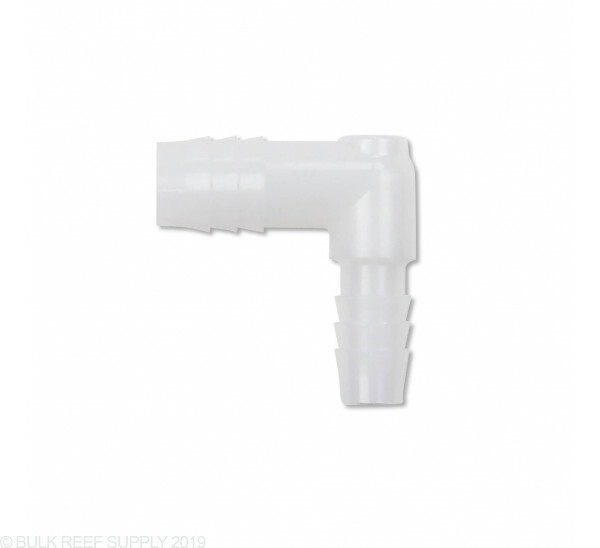 They can be used with many different types of tubes and provide a secure leak free connection. 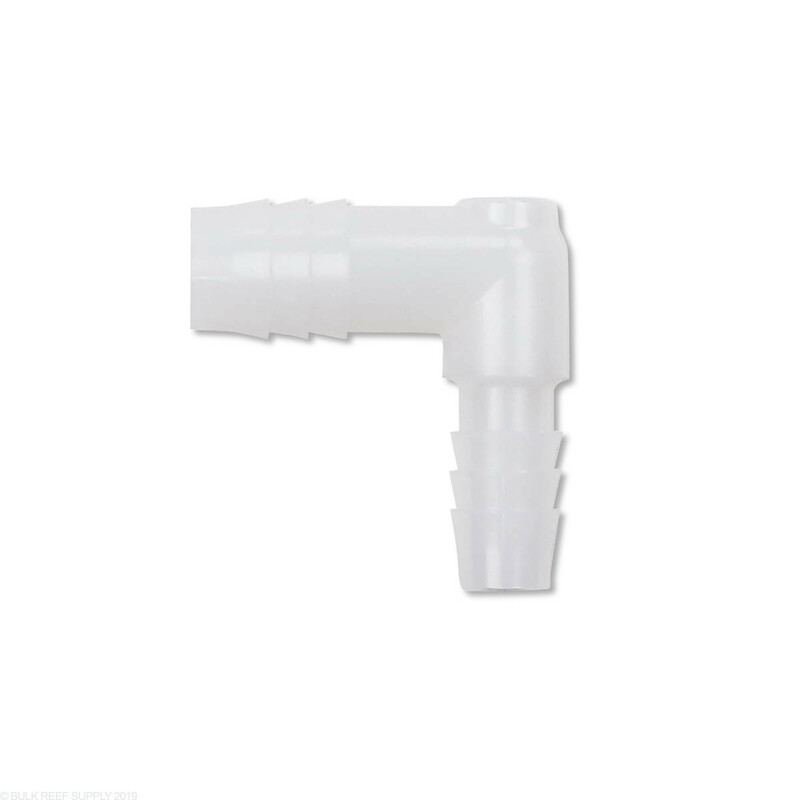 The 1/2" x 3/8" Barbed Reducing Elbow is made of nylon and works great with silicone or traditional vinyl tubing. Just push your tubing onto each side of the fitting and you will have a sharp 90 degree bend that can accommodate two different sizes of flexible tubing.